You may have seen that FHA dropped the required credit score from 640 down to 600. Which is great news because now a few more people can qualify to purchase a home. This is good news because the rents are on the rise and it is quite possible that people pay as much in rent as they would pay for a house payment. This means that it is still a good time to buy a home because interest rates are still low. If you would like to get more information, please fill out the form on the bottom and I will get back to you! However, if you are considering purchasing a home in Blaine or the surrounding communities, understanding down payment restrictions is important. 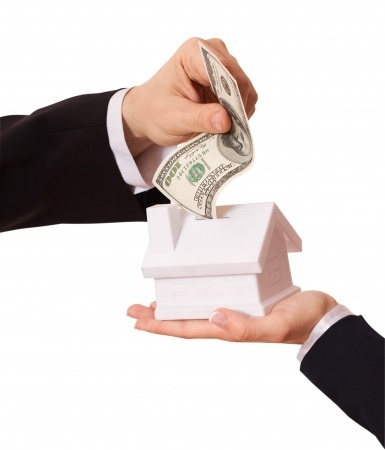 There are some programs that will allow you to use a gift for your home down payment. However, before you assume this, make sure you talk to your loan officer. Generally speaking, the lender will require the person making the gift to provide a letter stating the money was a gift and does not require repayment. When people hit the lottery or come into money through an inheritance, one of the first things they may consider is buying a new home. However, it is important to keep in mind that lenders will typically want to know exactly how you came up with your down payment. Borrowers still need to show a “trail” of how they came into money. If your down payment amount has not been “seasoned” the lender may not accept your loan. What Is A Seasoned Down Payment? Generally speaking, your loan officer will want a “paper trail” to document your down payment. Most lenders require down payment funds to be at a minimum six months old. For example, let’s assume a borrower did win the lottery: If they deposit the funds into their checking account and leave it there for six months or more, the funds would be considered seasoned. Lender restrictions on down payment funds are fairly common. If you are uncertain if your funds meet the lender’s criteria, talk to your loan officer. In most cases, a lender will require at least one-half your down payment fall into the category of seasoned funds. Some borrowers may use their retirement account or other savings to make their home down payment. Don’t wait until the last minute to discuss your down payment with your loan officer because you may wind up disappointed. Keep in mind, every lender has different requirements and these rules may not apply to your lender.